I was immediately drawn to the slow-cooker osso buco recipe in the latest issue of Fine Cooking. 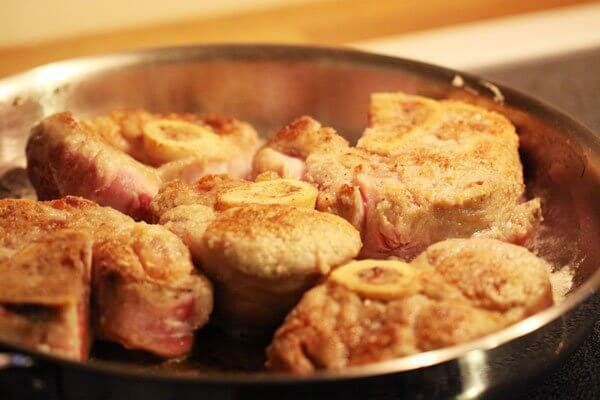 (Incidentally, I’ve also been eyeing veal shanks at the market for the last few months.) The recipe claimed that you’d be hard-pressed to distinguish it from the traditional version. And it was right. As a slow-cooker recipe, it’s perfect for the work week. 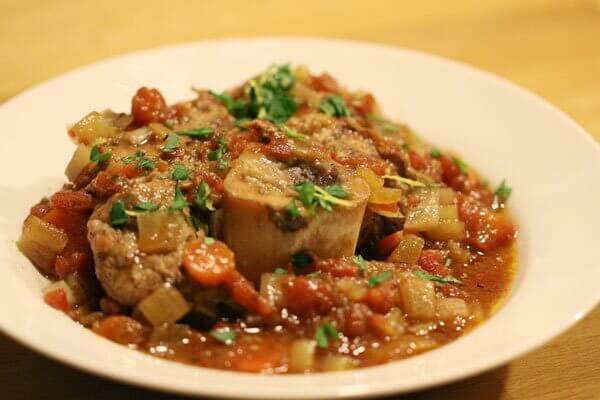 You’ll need a bit of time in the morning to brown the veal shanks and chop the aromatic vegetables. (I saved a bit of time by preparing the vegetables, and measuring out the other ingredients the night before.) And allow for time before serving to reduce the braising liquids (you could get away with 15 minutes, or let it boil away while you prepare a risotto). I started the meal with a saffron risotto, which is traditionally served with osso buco. 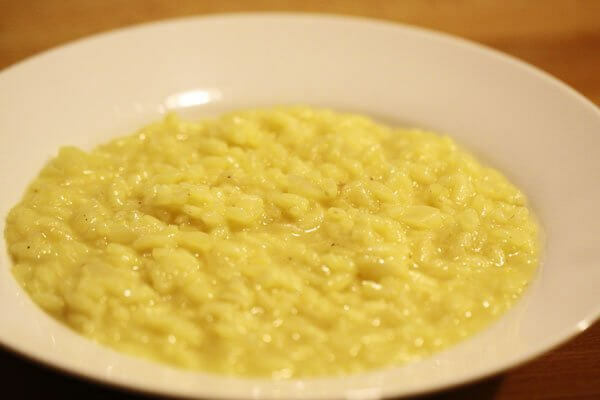 It’s a very simple risotto flavoured only with saffron and parmigiano reggiano. It’s a basic risotto, but one with lovely flavour, that really allows you to appreciate the texture of the dish. It warms you up perfectly for the intense flavours of the osso buco, and comes together in the time it takes to reduce the osso buco sauce. Talk about a decadent weekday meal.